I get nervous when speaking in English and then I speak incorrect English. 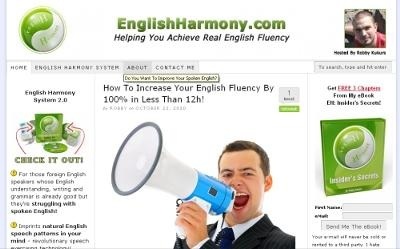 How can I reduce my nervousness and improve my spoken English? It's very common for any foreign English speaker to get a bit nervous when speaking, especially when it comes to dealing with native speakers/strangers/important situations etc. First of all - it's totally normal. Anyone - even native speakers do get nervous and stressed on certain occasions. Also it's not uncommon for native speakers to struggle a bit to get the words right. So if a foreign English speaker makes a mistake - is it that much different from a native speaker making a mistake? I don't think so! Secondly - don't be so concerned about making mistakes. Embrace them as a completely normal part of your English! Personally I don't know of a person who'd speak a foreign language flawlessly at all times. Once you're aware that you make an odd mistake here and there, you know how to say the particular thing correctly, right? So you always have an option of correcting yourself during the speech - and no open-minded conversation partner will look down on you because of that. On a finishing note I can tell you the biggest secret of overcoming nervousness - communicate more! Yeap, simple as that. Don't avoid real-life conversations, use any opportunity to talk to other English speakers whenever you can. Or, if you have very few opportunities for doing that - practice with yourself. Speak with yourself discussing different topics, watch a film/read a book and discuss it with yourself etc. The most important thing here is to get your SPEECH going and as a result you'll get more confident when speaking with real people.